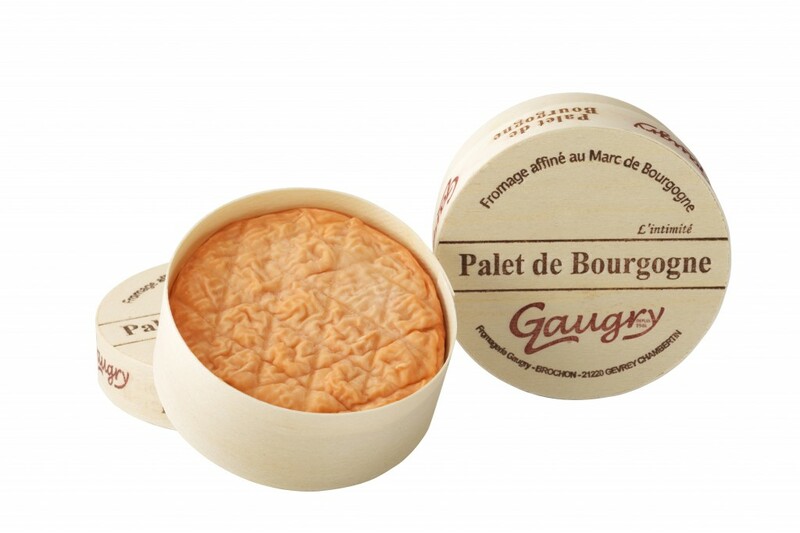 Le Palet de Bourgogne was created to be savoured alone or as part of a meal for two. It is a washed rind soft cheese. This cheese is proposed in a smaller format than other cheeses from our line washed with Marc de Bourgogne (125g). The rind is shiny and wrinkled and the consistency smooth and creamy. It is matured with Marc de Bourgogne. In order to enjoy it at its very peak, it should be eaten when lightly matured so that it will be creamy right to the heart. (fiche produit en pièce jointe). Enjoy with walnut bread and a glass of Beaujolais.